An invitation to our official opening party! Come join us as we celebrate the official opening of our very first concept store in Singapore! 1. 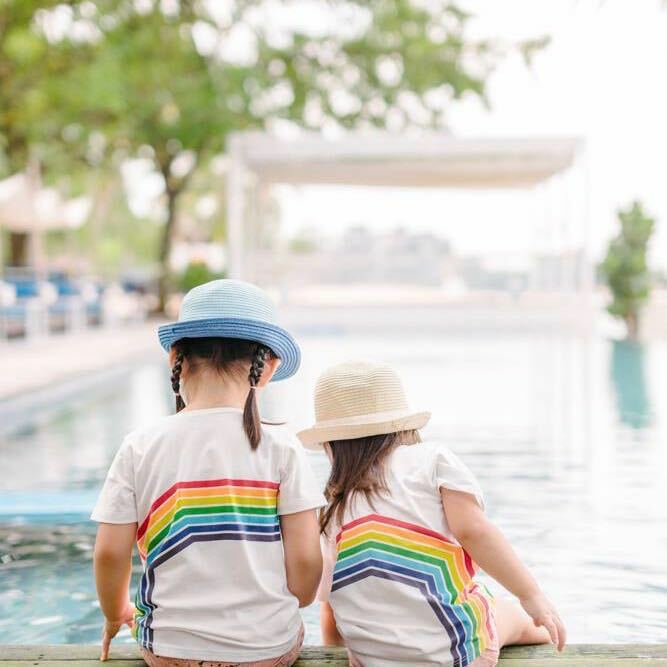 Every child or adult who comes dressed in Le Petit Society clothing will receive a $10 cash voucher each, courtesy of our main event sponsor, OUE Downtown Gallery. 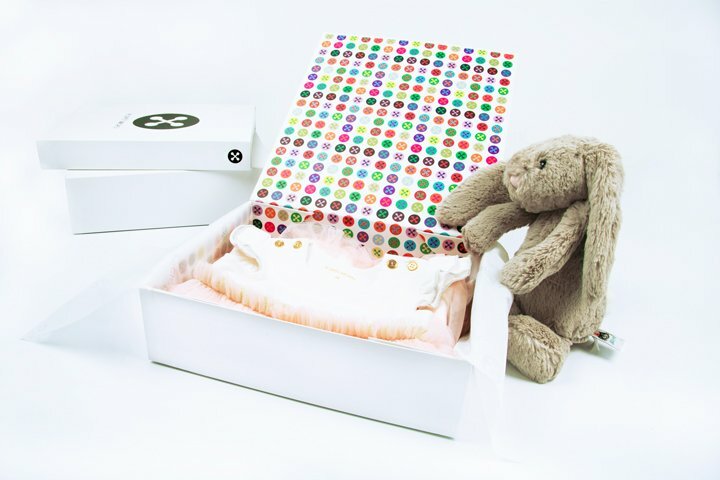 A family of 4 dressed in our clothes will receive $40 cash vouchers... you get the idea! Vouchers are available on a first-come-first-served basis on both days between 2 to 5 pm and are valid until Nov 2017. 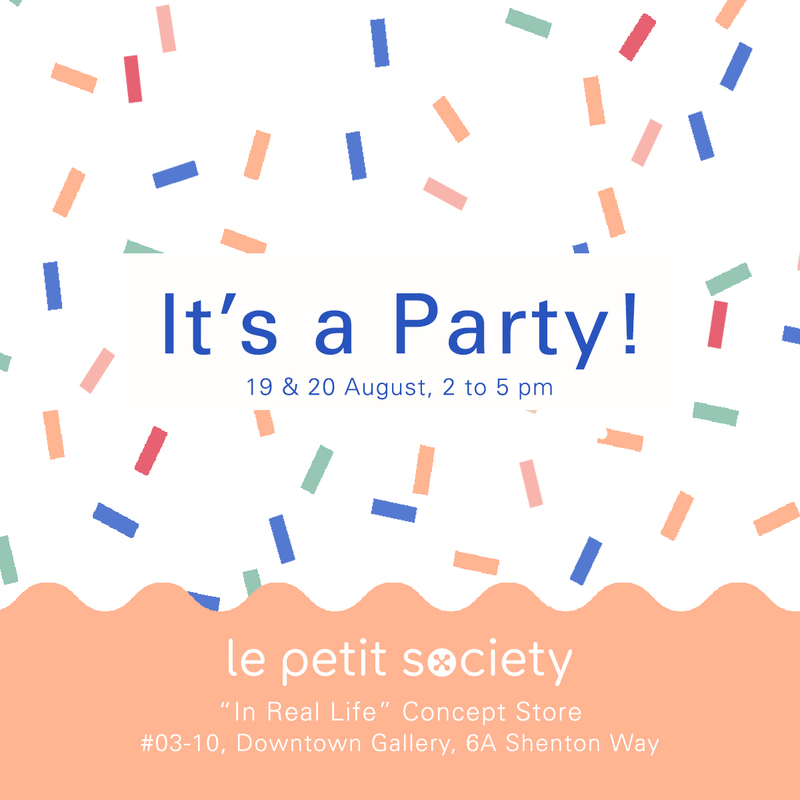 They may only be used at Le Petit Society Concept Store at Downtown Gallery. 2. 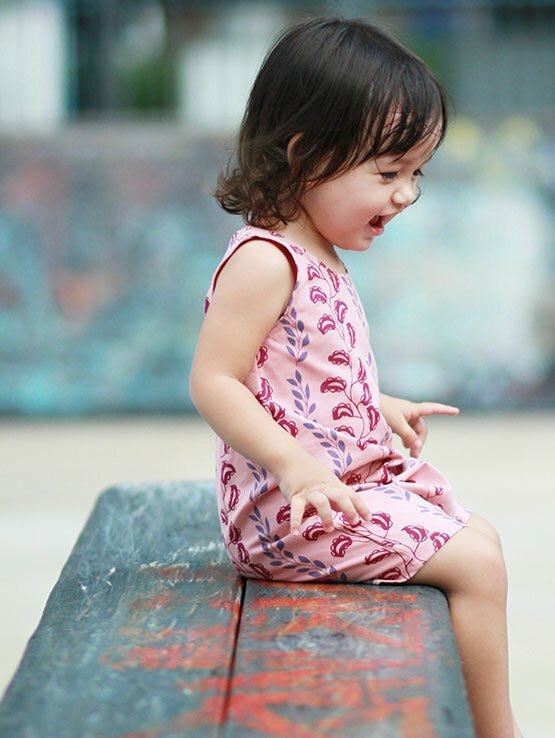 Enjoy 15% discount storewide on all Le Petit Society clothing including new launch items as well as all Brands We Love, when shopping at our shop over the weekend of 19th & 20th August! Vouchers collected above may be used. No minimum purchase is required. No other terms & conditions! 3. Become our VIP customer when you spend $200 (usual: $400) during the party! Find out more about our VIP privileges here. Bring the kids along for a fun-filled afternoon! We have catered activities for kids across ages, including a bouncy castle, a Janod toys corner containing a miniature kitchen set and other wooden toys, balloon sculpting and a rock climbing wall for older kids. We will also be having Chinese storytelling sessions periodically so mummies may shop in peace. Each storytelling session will last for 20 minutes. Smöoy - The real No. 1 frozen yoghurt brand from Spain: Enjoy unlimited toppings on all purchases made on 19th and 20th August when you flash the event poster above! Check out their FB page here. Smöoy is located at #03-28. Recognize! Studios - Pay $35 for one-year membership and get 5 free Hip Hop dance classes (UP: $55 and only 2 free classes). Click here for details of their kids academy. Recognize! Studios is located at #02-25/26/27. Wings to Wings Dance Development Centre - Free trial class passes will be given out to all our party guests. Passes may be used for both adult or kids classes. In addition, enjoy 10% discount on all in-house adult class packages (1 month unlimited, 3 month unlimited and Dance Pass) and NEW children termly courses sign-up. Click here for more information. Wings to Wings is located right next to our shop at #03-06/07! The nearest MRT stations are Tanjong Pagar and Downtown (see map below). Parking is available on premise and is chargeable at $2.57 per entry on Sat after 1 pm and all day on Sunday. There are 2 carparks accessible via Maxwell Link. Our shop is located nearest to the basement carpark. 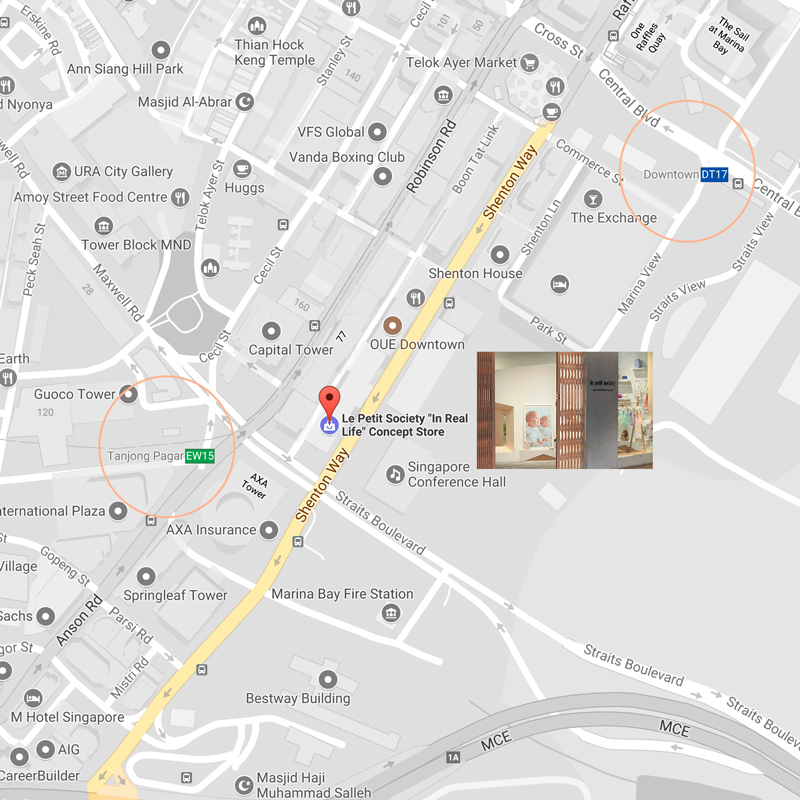 The Downtown Gallery building is long, and we are located at the end of the building that is nearer to Tanjong Pagar. If you plan to have lunch or dinner at Downtown Gallery, click here to see the list of offerings. Hope to see you at the party! Click on the image above to access directions on Google maps.